Jump Force is out, and hey, while we aren’t super gung-ho about it, there’s no denying there’s an audience for this game. The Shonen Jump roster is a big deal for a reason, and there is definitely a pocket of support for this 50th anniversary fighter out there in the anime and manga community. For what it’s worth, Bandai Namco and Spike Chunsoft have already showed signs of active support. But that isn’t what this feature is about. This feature is about more characters. The highs and lows of Jump Force are out there, but what isn’t out there is the DLC. 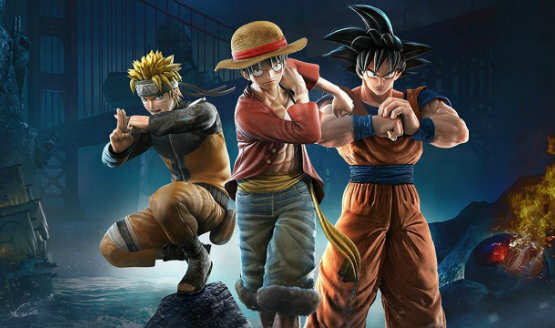 Right now, you can purchase the Jump Force season pass, which promises a total of nine post-launch roster additions. Not a single one has been revealed yet. DLC additions for a roster that is already 40-deep seems like a stretch, but the fact is there are 50 years of history we’re dealing with here and the Jump Force roster barely covers the greatest hits. What follows all this introductory waffling is my personal list of nine Jump Force DLC characters I’d like to see. Now, if I was being totally selfish, I’d probably put way more Dragon Ball and Yu Yu Hakusho characters in, but I tried to bring some more broad considerations to the table. This roster needs more ladies, for example. I also tried to sneak in some current Shonen Jump series, which will hopefully continue to survive. (There have been lots of cancellations lately). I also snuck in a few favorites, for good measure. What do you folks think? Who has been criminally left out of Jump Force, and why should they definitely replace Asta? Let us know in that lovely comments section.